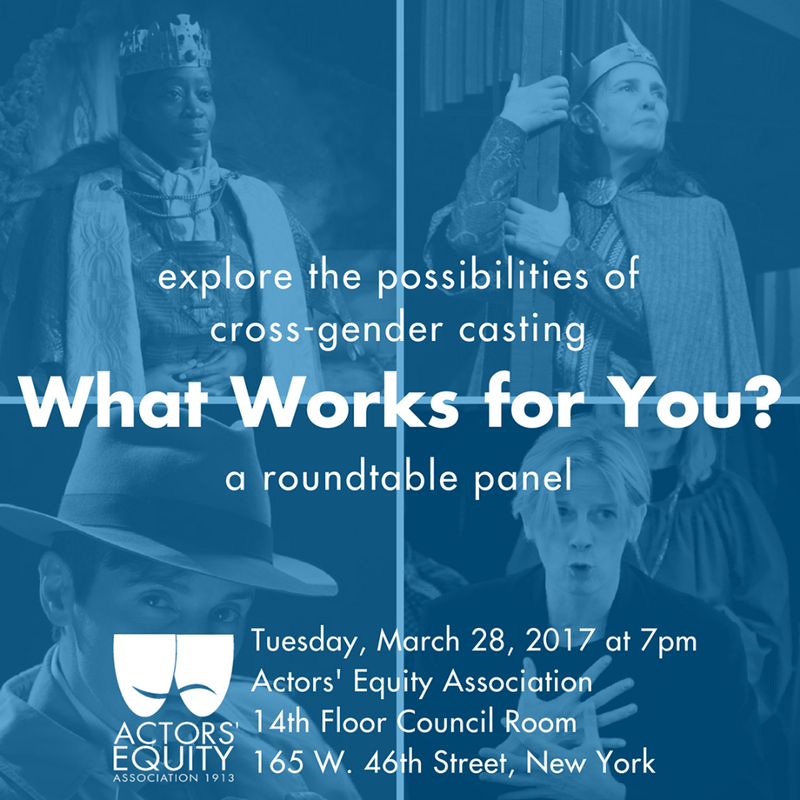 Please join us for an evening exploring the possibilities of cross-gender casting in expanding opportunities for women, moderated by Rebecca Patterson, Artistic Director of The Queen's Company. Female actors who have successfully auditioned for and performed classical roles traditionally filled by men will share what has worked for them, especially in the audition process. Learn how to be empowered to audition for characters not necessarily of your own gender! Light refreshments will be served. ​Rebecca Patterson (Moderator) is a freelance director and founding Artistic Director of The Queen's Company (NYC). She has directed critically acclaimed all-female cast classical productions and is a passionate advocate for gender-blind casting, diversity and equal opportunity for female classical actors. Kate Konigisor has performed on stages around the country. A few favorites are Over the River and Through the Woods at Riverside Theatre in Vero Beach, Akhmatova at BAM with the Ensemble for the Romantic Century, and the title role in the award winning all-female production of Macbeth at Shakespeare in Delaware Park in Buffalo for which she received the Katharine Cornell Award for Outstanding Performance. She is also the Artistic Director of the Killington Shakespeare Retreat and Shakespeare with Benefits, whose January 20, 2017 Bard-Based Variety Show raised over $5,400 for the ACLU. Mary E. Hodges is a mom, actor, director, and teacher. She has a MFA in Acting from The University of Connecticut (Storrs Campus) and a BFA in Acting from Virginia Commonwealth University. Roles in Shakespeare: Macbeth3 (Witch/Banquo/King Duncan/Porter/MacDuff); Othello (Cassio); Julius Caesar (Metellus Cimber); King Lear (The Fool); Double Falsehood (Henriquez); Hamlet (Ophelia & Queen Gertrude); Twelfth Night (Maria); Richard III (King Edward/Richmond); Henry IV, pt2 (Jack Cade) to list some. It just dawned on Virginia Baeta that she's been cast in men's roles from her first high-school play to today. She has appeared in many productions with The Queen's Company -- almost exclusively as traditionally male characters. 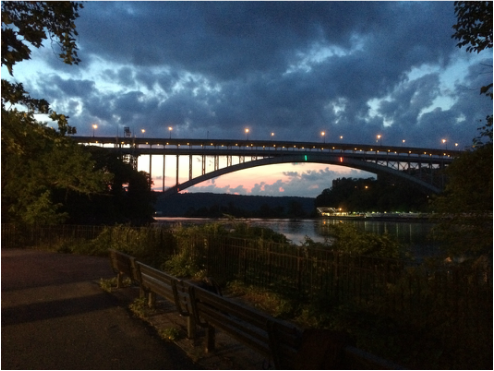 Damaged Goods, Virginia's gender-twisting homage to film noir in which she plays Thomas Sparks, a shamus with a secret, runs from March 2-18 as part of the Emerging Artists Theatre (EAT) New Works Festival. 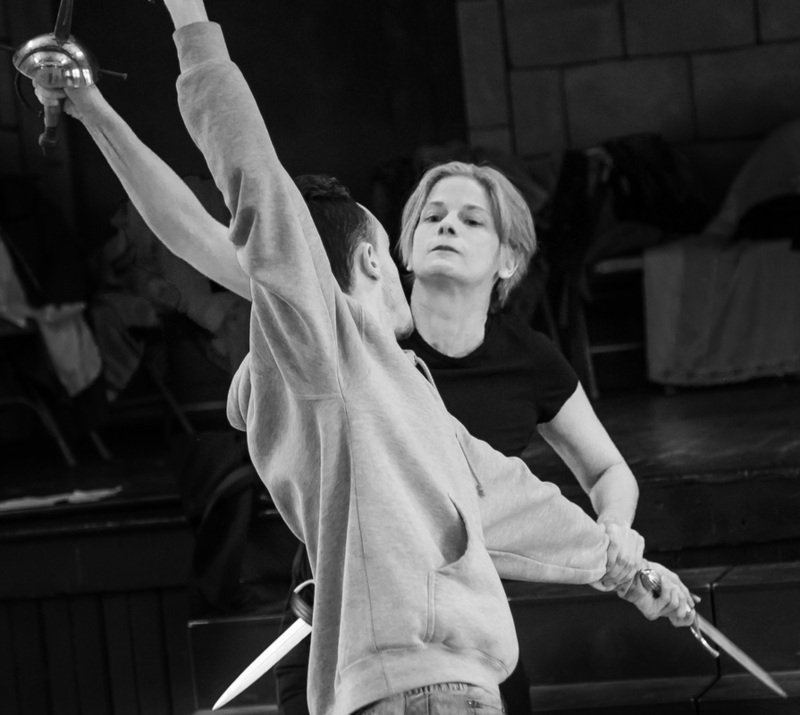 Candace Clift has a passion for Shakespeare, which has afforded her many opportunities to play across gender (and to play with swords!). She has played Mercutio, Dromio, Dogberry, Puck and Trinculo. She's also played male literary figures such as Sherlock Holmes and Victor Frankenstein. Her most recent turn in a male role was the melancholy prince in Hamlet. These events are free and open to the public, and space is limited. Seating for each event is first come, first served. Participants are subject to change based on availability. As someone once said, "The readiness is all..." This will be put to the test tonight as Advice To The Players' opens its production of Hamlet in North Conway, NH with Candace playing the melancholy Dane. The show will play two weekends at Your Theatre, North Conway, March 25, 26, April 1-3. Then return home to Sandwich, NH for its closing weekend, April 8-10 at the Sandwich Town Hall Theater. Candace has cashed in on her Scandinavian roots to play the melancholy prince in Advice To The Players' production of William Shakespeare's masterpiece: Hamlet. 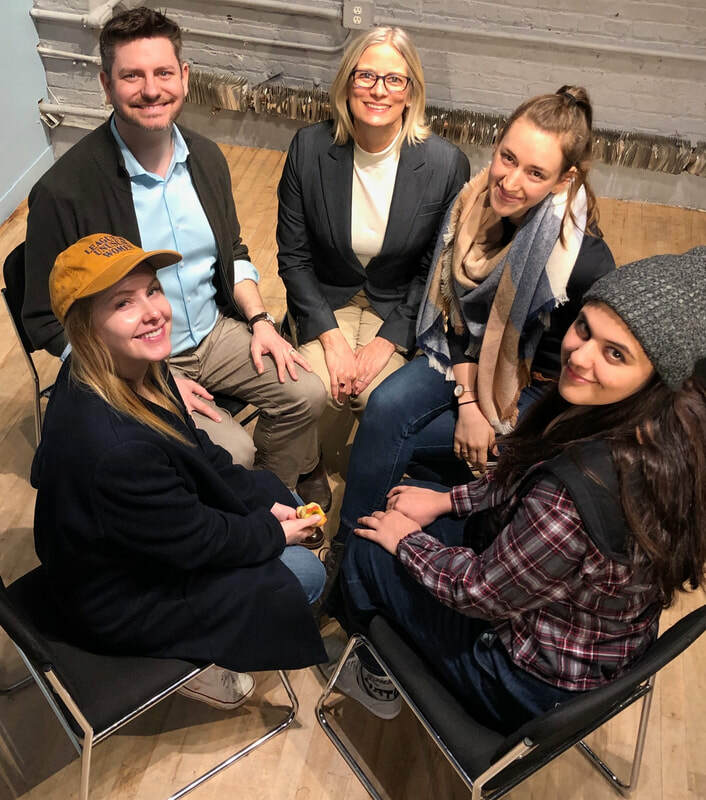 The stripped-down production lifts Shakespeare's vibrant language to the forefront and will tour to several venues, including two weekends in North Conway, several schools for student matinees, and for its closing weekend, at the Town Hall Theatre in Sandwich, New Hampshire. 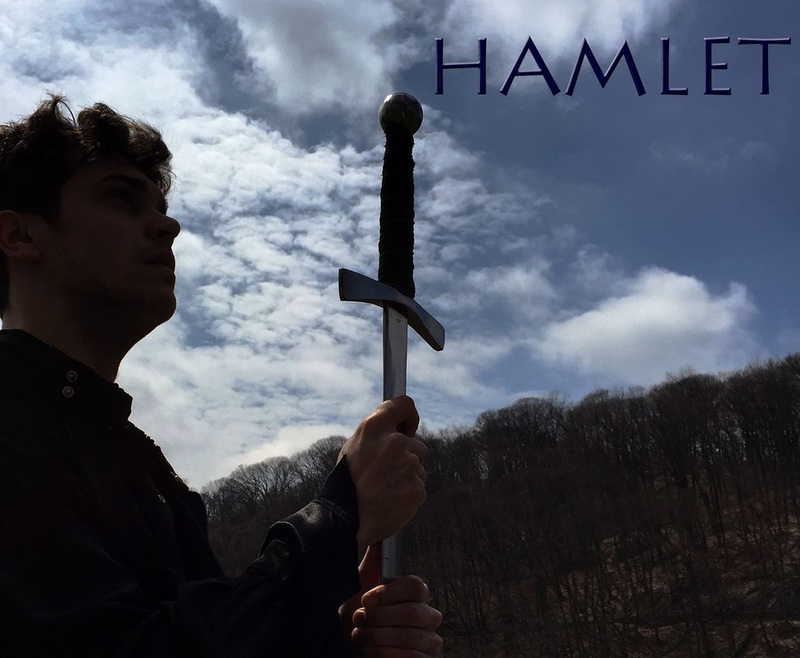 Hamlet runs from March 25 - April 10. Venue, schedule and ticket information can be found here. 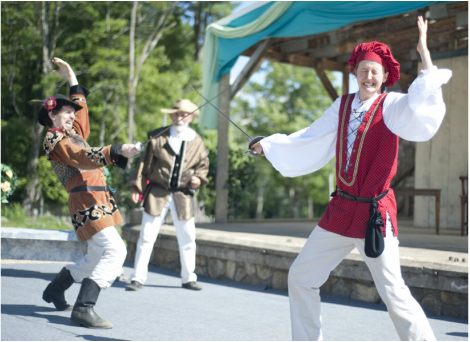 Advice To The Players' production of Twelfth Night, directed by Candace, is a finalist in five categories for this year's New Hampshire Theatre Awards. The winners of each category will be announced at the awards ceremony, to be held on January 23rd at the Capitol Center for the Arts, in Concord, N.H.
Twelfth Night is among five finalists in the following professional theatre categories: Best Production, Best Director (Candace Clift), Best Actor (Dennis Patella), Best Actress (Miranda Posner), and Best Supporting Actor (Bill Viau). Advice To The Players' production of Romeo and Juliet has finalists in two categoies: Best Actress (Angela Smith) and Best Supporting Actress (Caroline Nesbitt). The list of all the finalists can be viewed here. Congratulations to all the finalists and to the whole company of Twelfth Night who worked to make such a special production. All Girl Frankenstein at the Hippodrome Theatre is headed into its final weekend! The show has been called "creepily beautiful" and "not what you expect, no matter what you expect." Click here to see what one audience member had to say after opening night. 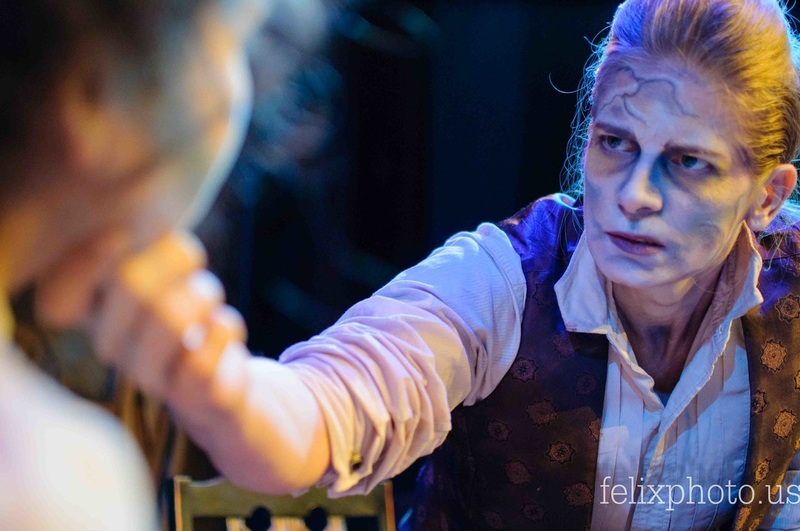 A local blog also did a lovely write up about Candace returning to Gainesville, FL and tackling the role of tormented scientist Victor Frankenstein here. "Candace Clift has the toughest job — the only one on stage who seemingly isn't allowed to have any fun — as the tormented, conflicted Victor Frankenstein. Repelled by death and decay, driven to bestow "animation to lifeless matter," Victor is living proof that med school will wig you out." The only inaccuracy is that Candace is most assuredly having fun wrestling with all Victor's ambition, guilt, angst and torment. But only for five more shows! Candace has returned to Florida and the Hippodrome Theatre stage for another Halloween creep fest. Having been previously seduced by Dracula and slain by Carrie, she now struggles with the consequences of her creation as Dr. Victor Frankenstein in Bob Fisher's All Girl Frankenstein, a smoldering re-telling of Mary Shelley’s Gothic tale. All Girl Frankenstein opens Oct. 16. More information and tickets are available here. 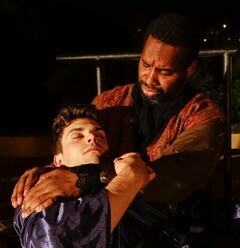 It's opening night for Advice to the Player's I Hate Hamlet! Candace plays the psychic realtor Felicia Dantine in Paul Rudnick's sweet comedy about artistic ideals, chastity, stage fright and final cosmic lunges at redemption. Tickets are available ON LINE here. 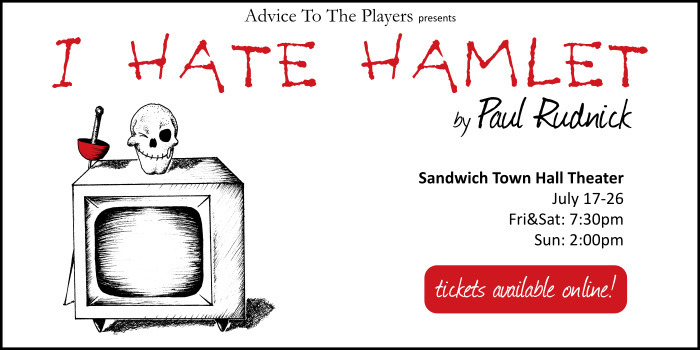 I Hate Hamlet plays July 17, 18, 24, and 25 at 7:30 pm and July 19 and 26 at 2 pm at the Sandwich Town Hall Theatre. Goodnight Sweet Prince and Off To NH! 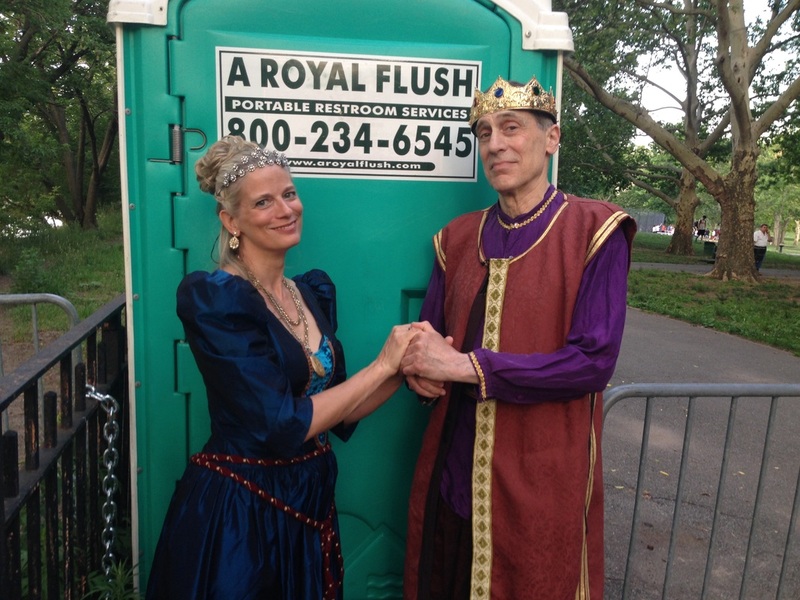 Candace is off to New Hampshire to play Felicia Dantine in Advice To The Players' I Hate Hamlet. The ironic follow up is in no way a comment on her recent experience. 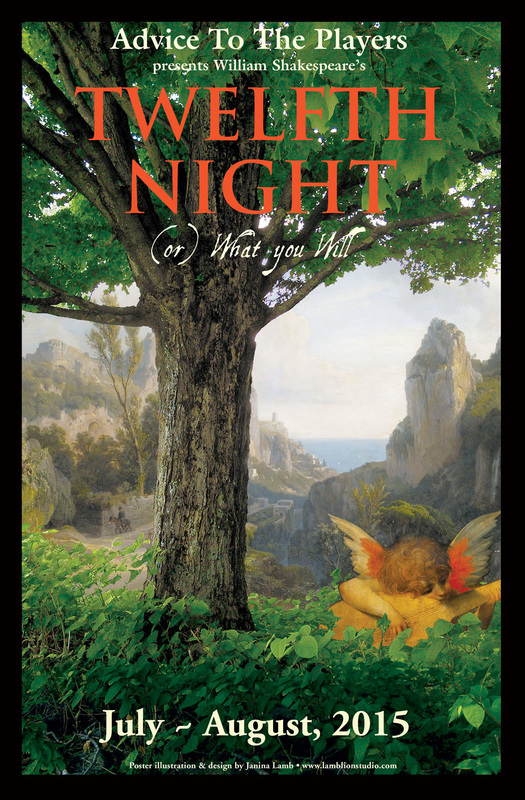 She will then direct ATTP's summer Shakespeare offering: Twelfth Night. Come on up to Sandwich, NH in July and August for unmatched New England beauty and some fabulous theatre! In the great outdoors, afternoons at 2:00 at the Sandwich Fairgrounds, July 31 - Aug 2 and Aug 6 - 9 with one evening performance at the Sandwich Town Hall on Tuesday, Aug 4 at 7:30. Shakespeare's great revenge tragedy of timeless questions, universal themes and infinite imagination.